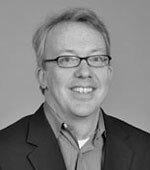 Rick Larrick is Professor of Management and Organizations at Duke University’s Fuqua School of Business. He is the Michael W. Krzyzewski University Professor in Leadership at Duke, and serves as the faculty director for Fuqua’s Center for Energy, Development, and the Global Environment (EDGE). Larrick’s research focuses on decision making and motivation. Specific areas of research include environmental decision making, negotiation, group decision making, goal setting, and “debiasing” (techniques for helping people make better decisions). His research on the “MPG Illusion” (Larrick & Soll, 2008, Science) demonstrated that the common fuel efficiency metric “miles per gallon” leads consumers to systematically misunderstand gas savings when they compare cars. The research also showed that a fuel consumption metric, such as “gallons per 100 miles,” enables accurate estimation of gas savings. “Gallons per Mile” was included in the New York Times Magazine’s “Year in Ideas” in 2008 and was drawn on in two National Research Council reports on car and truck efficiency in 2010 (Technologies and Approaches to Reducing the Fuel Consumption of Medium- and Heavy-Duty Vehicles;Assessment of Fuel Economy Technologies for Light-Duty Vehicles). Based in part on the MPG Illusion paper, the 2013 EPA fuel economy label contains a “gallons per 100 miles” metric along with other consumption-related metrics, such as driving cost and greenhouse gas emissions. Duke University offers a “GPM Calculator” to help car buyers compare vehicles on gas use, gas cost, and gas savings: www.gpmcalculator.com. Larrick’s current research focuses on designing better energy metrics and on consumer decisions related to the environment.